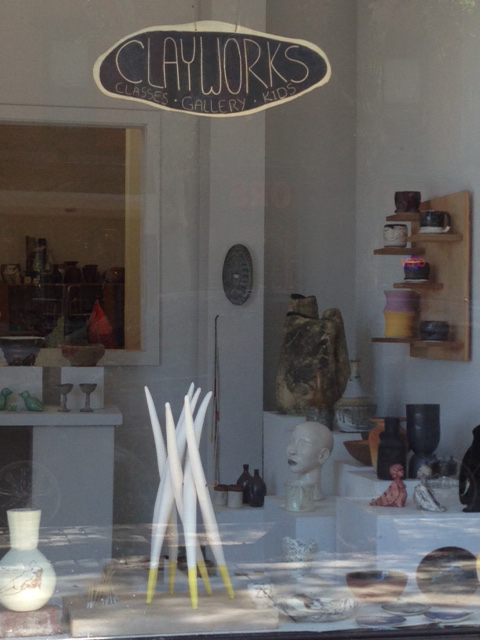 Clayworks on Columbia operates in a 2000 square foot storefront space located at 195 Columbia Street (between Sackett and Degraw) in Brooklyn, New York. Provide the community with the environment, resources and learning opportunities to discover and use clay as a means of artistic expression. It is our intent to offer our services to all ages, regardless of physical abilities, as a means of developing their self-exploration and self-esteem. In addition, we provide master potters with the equipment, glazes, kilns, exhibitions and necessary support services to enhance their skills and to improve their access to the general neighborhood and Brooklyn’s expanding artistic communities. Classes: Weekly wheel and handbuilding classes, in addition to open studio time. Gallery: Our gallery hosts work by artists who are Clayworks teachers, members and students. Glazes: The studio provides over 18 glazes. Clay: A choice of brown and white stoneware clays is provided for students. Wheels: Clayworks has 12 electric wheels for throwing. Handbuilding: A clay extruder, and a work table with tools are accessible in the studio. The backyard provides another work area during good weather. Firing: Clayworks operates four electric kilns for firing up to cone 6.